The title of this book might suggest a rant by a disillusioned ex-Buddhist: but this is not the intention. Although I am no longer personally committed to the Buddhist tradition, I am still committed to practising its central insights. I want to use those insights to try to separate the wheat from the chaff in traditional Buddhism. 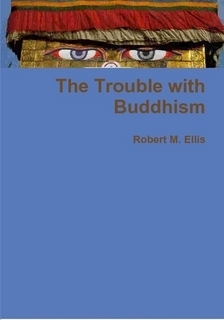 This is a critical book about Buddhism from a perspective which is still sympathetic to some of its central teachings. After around twenty years of engagement in Buddhism, I have reached the conclusion that Buddhism has largely betrayed its own insights. On the other hand, those insights are still there, and there is much that is valuable to be learned from Buddhism. Personally, I am no longer sure whether I should describe myself as a “Buddhist” or not, because it all depends whether this is taken to mean that I am committed to the core insights of the Middle Way (which I am) or to Buddhism as a tradition (which I am not). I am writing this book not just to try to get Buddhists to look more radically at the defects in their own religion, but also to help both Buddhists and non-Buddhists to differentiate those defects from what is valuable. We should celebrate Buddhism’s insights, whilst decrying their betrayal. My main emphasis is a critical one, because I want to get people to think again about things they have taken for granted in Buddhism, but that doesn’t mean the intention is negative. There are many Westerners approaching Buddhism today and finding much that is positive there. On first encountering Buddhism myself, one of the first things that I found impressive was the people. Sometimes years of practice can give Buddhist leaders an integrity, straightforwardness and trustworthiness that are certainly far beyond anything I have met elsewhere. Another impressive feature is the thinking. Buddhism in the West is a young religion, and there is still lots of real thinking and experimentation going on. Far from settling into a niche and just defending their position, as religionists often do, Western Buddhists are often still debating what they should believe and how they should live. For me this gives the Buddhist community a sense of openness and vitality that is valuable. Buddhism focuses on practice, on changing the individual for the better; unlike too many other religions which either focus solely on belief, or on performing rituals that help to give a community its identity but have little further value. Many of its meditation practices are accessible to all, whether or not they think themselves “Buddhist”, and many people in the West are benefiting from them. However, these positive features are unfortunately accompanied by others that often stop newcomers in their tracks, or confront them with quite reasonable doubts after only a little while. Despite its emphasis on practicality, Buddhism is still tied to an Eastern tradition that interferes with that practical value. The openness and practicality is obstructed by piles of dogma shipped in from Asian cultures. Many Buddhist teachings that at first appear plausible, when examined more closely, turn out to be contradictory. These contradictions are often mistaken for mystical insights when they are nothing of the kind. Buddhists sometimes criticise Christianity for its reliance on belief in God and the revelations of the Bible. Yet Buddhist belief in the revelations of the Buddha from his enlightened state is often comparable in ways that many Buddhists seem unwilling to recognise. The strong tradition of faith in the guru also raises similar worries. Many schools of Buddhism maintain a tradition of monasticism that separates Buddhists into first and second-class categories, whilst even those Buddhists who have given up monasticism often maintain a sentimental attachment to the idea of it. Similarly, with karma and rebirth, even those Buddhists with apparently new interpretations of these traditional doctrines often turn out to have a strong sentimental attachment to them. Above all, much Buddhism turns out to be obsessed with an ideal of nirvana that is celebrated for its own sake, at the expense of the spiritual progression within ordinary experience that most commonly attracts people to Buddhist practice. None of these kinds of worries would matter so much if Buddhists did not go so much out of their way to appear reasonable on the surface, thus creating a deceptive impression. In fact, their most vital, important, and insightful teachings often serve to lure people into Buddhism so that they then feel subsequently driven to swallow the dogmatic, traditional and unreasonable bits of Buddhism for fear of losing the good bits. Some teachings, like that of the ultimate emptiness of all phenomena in Mahayana Buddhism, seem to serve primarily to reassure the critical parts of Buddhist brains and make them feel their doubts have been addressed, when they have not at all. A general reassurance that everything is empty, endlessly repeated in scripture and ritual, does not get us anywhere in coming to terms with this fact and actually seeing its implications. In becoming an ordained Buddhist, a member of the Western Buddhist Order, my experience was that I was obliged to either take Buddhism or leave it. Either one accepted the unhelpful bits of Buddhism with the helpful, or one did not get the benefit of the helpful. I did not want to lose the beneficial aspects of Buddhism, so I took ordination. Three years later, I realised that this had been a mistake: I had compromised my intellectual integrity by committing myself to Buddhist tradition, in a way that was in fact undermining my relationship to truth, and thus in the long run even undermining my ability to engage with the helpful practices of Buddhism. So I resigned from the Western Buddhist Order. It should not be necessary for people like me in the West to face this dilemma. All that Buddhism needs to do is to reform itself in accordance with its core insights, and be ready to discard much of the other stuff that has been deposited on those insights to obscure them over the centuries. For Western Buddhists this would be relatively easy to do, for the tradition in the West has scarcely put down roots yet and could easily be shaped anew. It does not need to completely abandon doctrine, symbol and ritual, but it does need to give them a much more thorough overhaul than has yet been undertaken, even by apparently radical reformers such as Sangharakshita or Chögyam Trungpa. If this could be achieved then Buddhism could become much more clearly a force for good. So what follows is an attempt to sort out what is useful in Buddhism from what is not useful, as the basis of a plea for reform much more radical than anything that has yet been attempted. Throughout this book one of the central issues is likely to be the nature of what I am criticising: what is Buddhism? Buddhists have become Buddhists for all kinds of different personal motives, and many have arrived at their own interpretations of what “Buddhism” means. The concept, is, of course, contested. For most academics writing about Buddhism, statements about Buddhism need to be backed up by copious reference to scriptures, anthropological observations of Buddhist practice, or both. This approach, however, in no way leaves the idea of “Buddhism” any less contested; moreover the scriptures appealed to are often open to multiple interpretations, and are interpreted in line with the preconceptions that have gained currency in the small world of academic Buddhist studies. Appeals to scripture tend to lead one in the direction of complex and often fruitless arguments that are largely about the history and culture in which the scriptures were written, or the conditions of their production, not about universal human concerns. I will say more about this issue in the last section of chapter 2. My approach to “Buddhism”, to cut through this type of fruitless argument, will be simply to make statements about it based on my own experience, and examine their consistency. This method is philosophical, and in philosophy one makes progress, not by referring to sources of authority, but by investigating the grounds, consistency and implications of beliefs. The experience that is my starting point consists in about twenty years of involvement with the Friends of the Western Buddhist Order (FWBO – recently renamed the Triratna Buddhist Community) plus some wider academic study of Buddhism. I will try to give due recognition to the diversity of opinion as I understand it, and not merely represent Buddhism in its “straw man” form of the most conservative versions. If anything, my impression is that I have been involved in one of the more radical sections of the Buddhist world, and will probably go further in accommodating some of the alternative approaches that are to be found in the FWBO than other more traditional Buddhists may find necessary. There will be some limited discussion of scriptures where these are of particular importance, but I do not see any need or use in the academic practice of referencing all factual statements about Buddhism to a scripture. Rather this practice often distracts attention from the kinds of underlying problems I will be trying to address in this book, and for many gives a misleading sense of reassurance of the grounds of belief. Obviously, the kind of Buddhism I will be addressing is a representative, broadly recognised one. In the vast majority of cases, I expect that this will largely fit with the experience of (Western or Westernised) readers with any experience of Buddhism. If you have so far customised Buddhism that my picture it does not fit with your understanding of Buddhism, then I congratulate you on having already done a lot of the kind of independent thinking I seek to stimulate in this book. For many years, I have myself worked with such a “customised” Buddhism, but also found distinct drawbacks in attempting to maintain a version of “Buddhism” which had little to do with what most other people thought it was. There comes a point where the strain of trying to hold such a position becomes too great, and perhaps one has to let go of the long-nurtured label “Buddhist”. In my experience, Buddhists often deny that criticisms of Buddhism are relevant to the Buddhism they follow, because of their belief that the true Dharma is wordless, beyond mere descriptions, and certainly not to be encompassed by the crudities of any description of “Buddhism”. The purpose of this book is not to try to criticise any such true Dharma, if it exists. Instead, however, I would like Buddhists to start taking responsibility for the ways in which Buddhism is actually commonly explained and described, before they take refuge in idealisations. Expositions of Buddhism often start with the Four Noble Truths as the most basic teaching of Buddhism. That is one reason why I feel a need to address them from the beginning. Yet I cannot take the Four Noble Truths as they are normally presented and build on those, for even here, at the very starting point of Buddhism, there are confusions to clear up. These confusions suggest to me that the Buddhist betrayal of its own insights is no recent phenomenon, but started very early on in its history or was perhaps even there in confusions from the beginning. My main purpose, however, is not to try to trace the history of this betrayal, but simply to ask whether core Buddhist teachings are coherent and consistent, whether they make sense, and whether they are helpful in assisting people in the modern world to improve their lives. Before examining the Four Noble Truths, I will need to establish an approach with which to examine them. The standard of judgement I will be applying is one which Buddhists often appeal to but which they apply incompletely: that of practical spiritual usefulness, of making people’s lives better. This does not mean any attempt to reduce Buddhism to science, utilitarianism, postmodernism or any other modern Western doctrine, but to take the account of usefulness pointed to by central Buddhist teachings themselves. The Buddhist teaching which is centrally concerned with usefulness is the Middle Way. We can assert this primarily through its role in the story of the life of the Buddha, a story that is of great symbolic value. It matters little how far it is historically true, much more how well it represents a core Buddhist insight. Traditionally, the Buddha is said to have been a prince with an over-protective father, who sheltered him in the isolation of a palace from any kind of suffering and tried to distract him from any religious goal by surrounding him with pleasures. He was roused from the obsession with pleasure that this sequestered existence symbolises through encounters with an old man, a sick man, a corpse, and a religious mendicant. Perhaps a modern equivalent to this might be a modern adolescent, lost in a highly protected technological world of instant gratification, suddenly finding himself in a developing country and confronted for the first time with the pains of common human experience as it has existed down the ages. As a result the purpose of his life changes. The Buddha-to-be then dramatically renounces his protected and hedonistic lifestyle for the highly risky alternative of religious beggary. He leaves the palace and goes forth into the forest to seek enlightenment. At first he does this under the instruction of two different spiritual teachers, and then in company with a group of companions often known as the Five Ascetics. The Five Ascetics are trying to gain enlightenment through imposing pain and hardship upon themselves, in the belief that this can earn merit which they can subsequently cash out as enlightenment. The Buddha-to-be eventually realises, however, that this ascetic approach, too, is not conducive to enlightenment, but merely weakens his body. He abandons it, to the disgust of his companions. The story so far has a symmetry. The Buddha-to-be has tried a life of pleasure and a life of pain, but neither approach has led to the enlightenment he sought. So he tries what subsequently became known as the Middle Way, and by this method, according to the traditional story, achieved enlightenment. The question of enlightenment is something we will unavoidably have to return to later in this book, but for me the story starts to become much less interesting at this point. What the Buddha finally achieved is of much less interest than the method he used to make progress towards it, because the method he used can be applied by anyone, anywhere, at any time, whereas there is nobody around who is verifiably enlightened. The story so far simply symbolises that method in a compelling narrative, but after this it starts making claims about the Buddha and about a state of nirvana which is both remote to us and in conception very much conditioned by Indian culture. In my experience, Buddhists often go little further than saying that the Buddha followed the Middle Way between asceticism and self-indulgence. They might also discuss the Middle Way of beliefs which accompanies this: the Middle Way between eternalism (often defined as belief in an eternal self) and nihilism or annihilationism (often defined as the belief that the soul is cut off at death), which is extensively discussed in the Pali canon. They identify eternalism with asceticism and self-indulgence with nihilism, and point to Buddhist teaching as lying between these extremes. But they rarely go on to explain much more than this about the Middle Way, an incredibly rich teaching scandalously neglected by the religion that gave birth to it. Yet the Middle Way, uniquely among central Buddhist teachings, is about how to generally go about judging the right way forward, rather than about some claimed state of affairs or about a more specific prescription for action. It is thus the only central Buddhist teaching which is completely universal, and which can be passed without reservation directly from the Buddha’s ancient Indian context to a modern Western context. We do not have to worry about whether it is true and relevant today, because what it offers us is a general approach for working out what beliefs we should accept and what actions we should take in any context. We simply have to try it out in our own context, in a similar experimental fashion to the way in which the Buddha was said to have tried it out. In itself, it does not tell us to believe or to do anything, but if we make use of it, it will quite shortly make clear what we should believe and do in our context. It does this basically by addressing conditions, not in a scientific way by creating positive theories about what will happen, but the other way round, by pointing out what approaches to conditions are likely to be mistaken and unhelpful. In a world that is constantly changing and always more complex than we take it to be or can readily grasp, it is overall certainties about the world or about how to act in it that are likely to be mistaken. If we consider the religious, moral, and scientific certainties of the past – for example that sacrifices to the gods kept the world in order, that slavery is acceptable because master and slave classes are part of the world’s design, or that the earth is at the centre of the universe – it seems clear that what may seem obvious at one time or place is not at another, and the less closely these theories could be checked through specific experiences, the more vulnerable they were to eventually being superseded. Let’s take the idea that sacrifices to the gods maintained order. We can now see that this is mistaken because we can now see other, more concrete, ways, that we can experience more closely, which explain how the order of society can be maintained: for example, education, democracy, international institutions, and the police. Similarly, slavery is no longer acceptable because we can see that those who used to be slaves are in fact human beings with the same kinds of capabilities as those who used to be their masters, so that the justifications for giving them inferior status were mistaken. Both sacrifices and slavery were justified by metaphysical beliefs, i.e. beliefs that cannot even potentially be checked through experience of any kind. It is dogmatic metaphysical claims of this kind that are unhelpful, because they lead us to make claims which stop us looking more carefully at people and events and becoming more closely aware of what they are actually like. In finding the Middle Way, the Buddha navigated between two types of metaphysical claim that were dominant in his time. One was the idea that there was an order in the universe that would ensure that every pain inflicted would be compensated in the future by pleasure hereafter, which we would continue to experience in an eternal existence (eternalism). The other was that we do not know of, or at least can safely ignore, any such order, and will cease to exist after death anyway, so we should just fall in with the values of those around us and get pleasure where we can (nihilism). It is by navigating between these extremes that he managed to engage with the conditions in his own life that were holding back his spiritual progression. The Middle Way helped him engage with the conditions created by the craving, hatred and ignorance of his own mind, which he could only address by combining disciplined strength of resolve with care for himself. It was through following this Middle Way in his context that the Buddha managed to not only get closer to discovering the truth about himself and the world, but also find the values that would subsequently motivate him. To make this procedure universal, one should navigate between the metaphysical dogmas of one’s own time and place, and thus attempt to engage with one’s own conditions more closely, rather than assuming that one’s navigation will be in any other respects similar to the Buddha’s. Before saying much more about this, however, we will first need to backtrack to say more about what are more generally considered to be the basic principles of Buddhism. I shall consider these in the light of the Middle Way as the most universal method, and try to assess whether these principles are indeed consistent with the Middle Way or not. Many accounts of Buddhism start with the three lakshanas, or three marks (or characteristics) of conditioned existence: dukkha (unsatisfactoriness), anicca (impermanence) and anatta (insubstantiality). These are said to give a basic Buddhist analysis of the nature of phenomenal existence, and together form the First Noble Truth, at the root of Buddhist teaching. They are also a good place to start in distinguishing the core principles of Buddhism. The first mark of conditioned existence is dukkha. This has long been mistranslated as “suffering”, even by Buddhists themselves, but it refers not just to the experience of pain or suffering as such, but also to the experience of loss or mortification when we do not experience an expected pleasure, and to a more general sense of meaninglessness (sankhara-dukkha). What these doctrines have in common is the idea of unsatisfactoriness, i.e. the idea that our experience does not give us ultimate satisfaction, however promising it may appear. Dukkha is a feature of conditioned existence or samsara, which means that what is being claimed is not that the universe itself is dukkha, just that the phenomenal universe (the universe we experience) is dukkha. But does this claim ring true? The whole of what I experience will only be unsatisfactory if I compare it to a standard of satisfaction that it fails to live up to, and clearly sometimes this happens. For example, I want this book to be accepted by a publisher, and I shall be disappointed and feel it to be unsatisfactory or frustrating if every publisher rejects it; but the reason for this is because I have a desire for the book to be published, a model in my mind of what will happen which may be disappointed. If I lacked this desire, however, I would feel no frustration, and would not experience the world as frustrating. In order to maintain the belief that all phenomenal existence is dukkha, Buddhists must insist that I can never experience anything without this anticipation of satisfaction that is then not satisfied; or that if I do have such experiences of being free from dukkha, then I must be enlightened. But how do they know this? How do they know that everyone’s experience is always unsatisfactory? How do they even know that their own experience is always unsatisfactory? To test any claim we need to look at possible counter-examples. In this case, I try to imagine the most satisfying experience of my life to see whether I can make sense of the belief that it is ultimately unsatisfactory. What springs to mind are, for example, meditational experiences, experiences of achievement on completing a project, or experiences of sexual or sensual satisfaction. When I experienced all of these, was I somehow comparing them to a divine template, in comparison with which these “satisfying” experiences were unsatisfactory? I think not. To insist that all these “satisfying” experiences must have been ultimately “unsatisfactory” not only requires skating over the experience itself and imposing a dogmatic framework on it, but it also means assuming that we will never have a fully satisfying experience in the future, short of enlightenment. As soon as we cease to trust our own experience of satisfaction at the point we have that experience, dogma rears its head, because no matter what our experience might be, it will make no difference to the belief that it is unsatisfactory. We will then have no other standard by which to judge than the wholesale acceptance of the dogma that all experience is unsatisfactory. The doctrine of dukkha requires that everyone always has a perfect measure in mind beside which the world seems imperfect. Buddhists have no way of knowing that this is the case, and thus must dogmatically assert it. But they do not need to do so. The useful insight to be found in the doctrine of dukkha has nothing to do with a claim about the phenomenal universe, let alone the actual universe. It is simply a claim that if we hold up a standard of perfect satisfaction as a basis of judging our experience (as we often, in fact, seem to do), we find that experience wanting. This means that if we want to stop experiencing dukkha, we should stop using this perfect measure. The principle is one about how we should see things, not how things are. This point may be seen more clearly if we tried turning around the doctrine of dukkha and made it into a doctrine of sukha, or happiness. Supposing we claimed that everything in the phenomenal universe, all our experiences, was in fact happy. They might seem unhappy sometimes, but this is just because we are not using the right measure to judge what we experience. If we used the correct standard of imperfection, indeed of general grottiness in the universe, we would see that what we actually experience is always better than this. Since this is the true standard to judge by, it might be claimed, in fact the universe is much better than our expectations. This doctrine of sukha is neither more nor less implausible than the doctrine of dukkha, Like dukkha, it says that if we apply a certain type of standard to our experience, that experience will be found wanting. What it doesn’t do is show that we in fact always apply that standard, or even that we ought to. In practice, because our cravings often lead us to get attached to an idealisation of how things are going to be, dukkha is probably much more common than sukha, and that is why the doctrine of dukkha offers a useful insight for many people: but it does not give a universal law any more than sukha does. Superficial critics of Buddhism often take the doctrine of dukkha to indicate pessimism, and Buddhists hasten to defend themselves against this charge by explaining that dukkha has a positive purpose. It does indeed have a positive purpose. If you don’t identify a problem and acknowledge its existence, you cannot fix it, and dukkha provides a foundation for the positive progress offered in the other Noble Truths. However, this positive purpose is not furthered by taking dukkha to be a truth about the phenomenal universe. It would be better served by giving dukkha as a practical principle about how we should respond to the suffering we experience, pointing out the drawbacks of allowing craving to determine our way of seeing it. So the first element of the “First Noble Truth” is not a truth at all. It does point to a useful insight, but one that has been misleadingly presented through the ages. Newcomers to Buddhism have to struggle to beat their way through the obfuscation of its traditional presentation in order to get to the useful teaching, and things are made unnecessarily difficult for them from the very beginning. It appears that Buddhism wants to deny, or at least underemphasise, the degree of positive fulfilment we do actually get from our imperfect existence, but it does not need to do this to make the underlying point. How many newcomers have been needlessly put off by this presentation of the “truth” at the beginning? Why does Buddhism continue to present itself in this misleading way? This is a question I will have many occasions to repeat in this book. Let us now look, a little more briefly, at the other two marks of conditioned existence. Anicca, the doctrine of impermanence, is again often expressed in the form that all conditioned things are impermanent. We suffer, in part, because we take what is actually impermanent to be permanent, not recognising its true nature. Once again, though, when this is offered as a truth about conditioned existence we find that whether it is true depends on your standpoint. When we stand looking at a river, are we seeing continual change because the waters flow by, or an absence of change because the river is still there? Any experience over a given period of time will reveal some features that appear to change during that time and others which remain the same. Why should we focus on one of these features and not the other? To say that we should focus on change, not permanence, because the world is really changing rather than really permanent, is just dogmatic. My experience itself is not necessarily one of impermanence unless I judge it lacking by the measure of an absolute permanence, but there is no way of proving that this is always the measure I really apply, or really ought to apply, when there are other possible ways of seeing it. For example, let’s take the case of bereavement. This is the classic case of impermanence often mentioned by Buddhists. It is claimed that we assume people to be permanent: then, when they are taken away from us by death, we suffer because we are not adapted to the impermanence of the universe. No doubt this is sometimes, or even often, the case. But to say that it is always the case is over-statement. Bereavement is not always a question of being surprised by impermanence. For example, in the case of my mother, who died recently from Alzheimer’s, I did not personally find it so. With an Alzheimer’s patient, one is more likely to take comfort from the fact that the semi-human state reached by an old person is impermanent, and greet their death as a relief. In practice, though, what actually proves insightful about the doctrine of impermanence is that quite often people do seem to have an assumption of something being permanent when it is not. For example, people are disappointed when childhood haunts have changed, or fail to take into account the effect of ageing on their marriage. Once more, the doctrine is much more useful, and accurate, when not taken as an insight into how things actually are, but rather as practical guidance into how we ought to avoid seeing them in certain common circumstances. Buddhists, though, are their own worst enemies in presenting a confusing version of their doctrine that claims much more than it practically needs to. It is not the case that all conditioned existence is impermanent, only that we may suffer if we are attached to a permanent idea of something that is impermanent. As with the doctrine of dukkha, one could also just as easily turn this around the other way. What if, instead of a doctrine of impermanence, we had a doctrine of permanence? We think things are constantly changing, and we suffer when they don’t but actually stay the same. For example, this would fit the experience of frustration of those trying to make progressive reforms in an atmosphere of stifling conservative bureaucracy. The doctrine of permanence, again, would not be essentially more or less true than the doctrine of impermanence. Again, it would be true to some experience, but misleading when dogmatically applied as a metaphysical claim about all experience. Finally, there is anatta, often poorly translated as “not-self”, but better rendered as “insubstantiality”, or even “lack of ultimate substantiality”. Anatta basically points out that when we believe there is a definite object, or a definite self, corresponding to a certain label, then we are mistaken. For example, the “chair” I believe I am sitting on is just a convenient way of referring to a set of processes and experiences, but it is my mind that has imposed on it the idea of a “chair” as a defined unchanging object with clear boundaries. Similarly with myself, I tend to believe that there is a fixed thing I call me, when what I actually experience is a set of changing mental and physical states to which I attach that label. Such labels are part of the process of attachment, as I can only be attached to (or reject) something I have thus conceptually parcelled up. There are strong philosophical arguments that support this basic insight in the Buddhist tradition. The labelling of either an object or a self will vary in different circumstances, given different cultures, languages, and individual experiences. For example, a person from a culture that had never encountered Western technology would not see a computer as an identifiable object as we would. A piece of polystyrene could be a toy for a child, non-biodegradable rubbish for another person, packaging for a warehouse-man, or potential modelling material for someone else. These variations suggest that it is not the object itself, but our way of labelling it, which gives it its identity. Similarly with the boundaries of an object: do I see a car as a set of parts, as an individual object, or part of the traffic? Do I consider my hair and toenails part of me? The boundaries are set by us. When objects or selves start and stop in time also depends on us: when does a foetus become a person? When does grass in the stomach of a rabbit cease to become grass and start to become rabbit? However, these arguments only support the insight that the labelling of objects comes from our minds, not that there are ultimately no objects. We simply do not know whether there are objects in the world out there, because we only ever perceive them through the filter of our experiences. It makes sense, in some ways, to believe that there are trees and rabbits and boxes and computers, and indeed people. However, if they exist, these things are constantly changing, the labels placed on them may vary, and their boundaries are shifting. Buddhists tend to explain this in terms of objects existing conventionally but not ultimately. Anatta, then, claims that objects do not ultimately exist, at least in the forms we experience and label them. More philosophically careful Buddhists may also add that anatta means objects do not not exist: that is, we do not know ultimately that they do not exist any more than we know that they do exist. All we know is that our conceptions of them are likely to be limited and mistaken. Once again, then, we have what first appeared to be a metaphysical claim, about objects existing or not existing, but on closer examination the doctrine of anatta (unless crudely expressed or misinterpreted) makes no such claims. It only requires us to bear in mind the limitations of our knowledge. It is intended to leave us in a state of open-minded doubt about objects around us, not a dogmatic assumption that they do not exist. This doctrine becomes of great practical value when it reminds one to reconsider the conceptions that have become the focus of a strong emotional response, such as hatred. I may be carrying round and constantly reviewing a mental image of the person I hate as having a certain character that led them to do or say certain things against me. However, a re-examination of this idea in the light of anatta might lead me to reflect that they also probably have many other more positive characteristics unknown to me, and it is an idea that I hate rather than a person. If we separate it from a metaphysical claim, anatta becomes inseparable from the Middle Way. If the Middle Way is a principle of judgement which involves avoiding the dogmatic extremes of eternalism and nihilism, anatta just gives us a further reminder of the limitations of any of these dogmatic views. Where anatta can be interpreted unhelpfully is where it is seen just as an insight of the state of enlightenment, which is then at such a distance from our experience that we fall back on purely conventional categories. If anatta makes no difference to our lives now, we are not taking its insights seriously enough. If we use it as a reminder of the limitations of our understanding of reality, we can use it to reflect on anything in our experience, and make gradual adjustments so as to make our understanding of that thing better by questioning what we have previously assumed about it. There is a strong tendency in the Buddhist tradition, however, not to use anatta to question common assumptions at all, but rather just as a way of idealising enlightened experience, which allegedly sees things as they really are beyond concepts. We may reflect that we do not understand things as they really are, but, instead of then investigating them for ourselves, then take this as a reason for depending on an enlightened person’s account of them. This approach can often have the effect just of reinforcing a new conventional view, which has grown up around a tradition of what may once have been one (allegedly enlightened) person’s insight. Rather than being a tool to gradually rid us of illusions, anatta then shuts us into them more firmly. This, of course, raises many questions about enlightenment and authority in Buddhism, which we will return to later (in the next chapter). For dukkha, anicca, and anatta, then, we have found a common pattern. All are based on insights that can be of practical value. However, all three doctrines are commonly presented as metaphysical beliefs, rather than as principles of judgement in relation to our own experience. The presentation of the three lakshanas as metaphysical beliefs is responsible for a great deal of misunderstanding of Buddhism by both Buddhists and non-Buddhists. Those who see Buddhism as a negative and pessimistic religion are not always wrong, as pessimism is a type of dogmatism (insisting inflexibly that things are always worse than experience gives us grounds to believe), and such dogmatism is often encouraged by the way Buddhists present these doctrines. On the other hand, the need to avoid denying the hollowness or lack of satisfaction we often experience, the need to appreciate the impermanence of things we are attached to, and the need to appreciate the way in which we impose categories on our experience are all vital starting points for the spiritual life.